wind during my summertime blues. with her green leaves shaking. We could bruise the fruit. She had the perfect footholds. too little to hang with us big kids. and we’d try to scamper up unseen. the depths of the living room. sitting on the porch again. This poem was written for OctPoWriMo. I was thinking about a few of the challenges and decided to write this. I’m going to link this up for Day 12, even though technically, it’s still the 11th here. Time is a strange concept when you’re in the slowest time zone around. I went rogue and didn’t go with the prompt. I hope your writing is going well, if you’ve joined us. 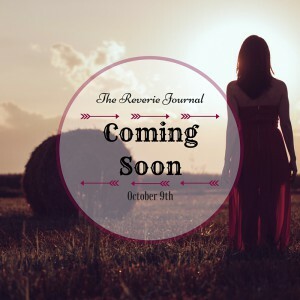 And feel free to check out yesterday’s post about The Reverie Journal and Project #WriteTube. I’m going to try to be a bit more on the ball with this and other things. For the Day 6 prompt, it was about freedom. I wrote a quick haiku about what would make me feel the most free. I want to travel everywhere and anywhere at a moment’s notice. Or at least, I want to have that opportunity. Knowing myself fairly well, I wouldn’t want to travel all the time. Weekend, this is where we go. World greets us open arms. What would make you feel the most free? Let me know in the comments!